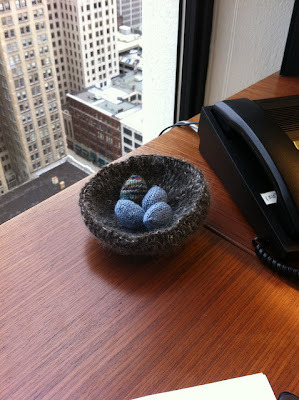 Remember the robin's nest from last spring? Not long after I wrote that, bluejays came and killed the babies. We hid this from the kids, but it filled us both with an incredible sadness. 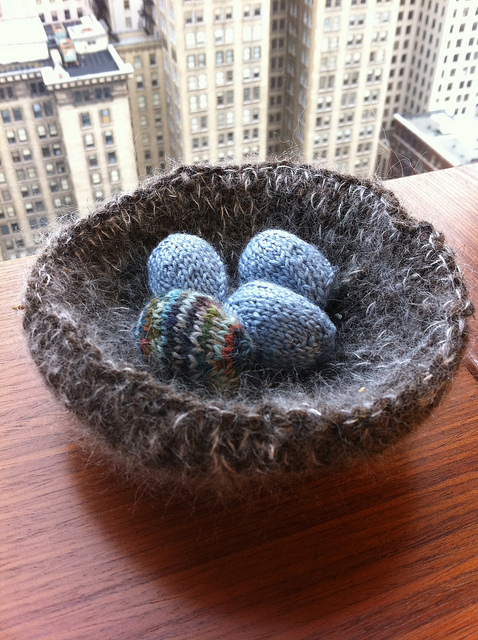 My wife knit herself a nest and filled it with robin eggs (with one that clearly came from some kind of magical bird). They still sit on her desk at the office. 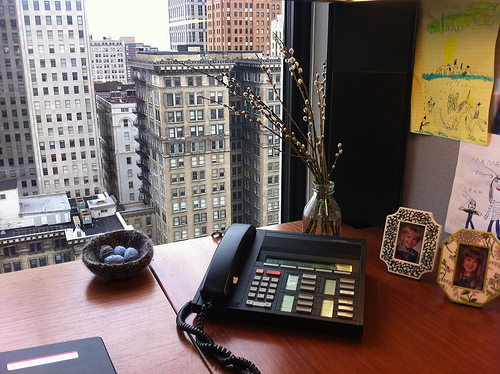 Spring's a long way off, but I just wanted to share that.